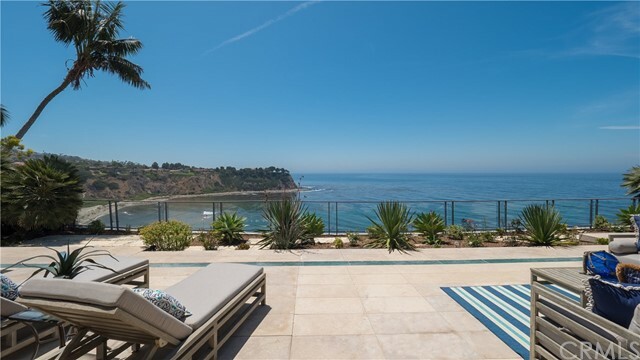 Featured properities in Palos Verdes Estates. The City of Palos Verdes Estates, incorporated December 20, 1939, is the oldest of the four cities on the Palos Verdes Peninsula. Deed restrictions were imposed on the land in 1923 when the Bank of America as trustee for Vanderlip’s Palos Verdes Project drafted a trust indenture and outlined provisions for development of the new community. The restrictions included specific items to “preserve the fine views of ocean, mountains and park,” and “increase with the years the wonderful natural beauty of the property”. 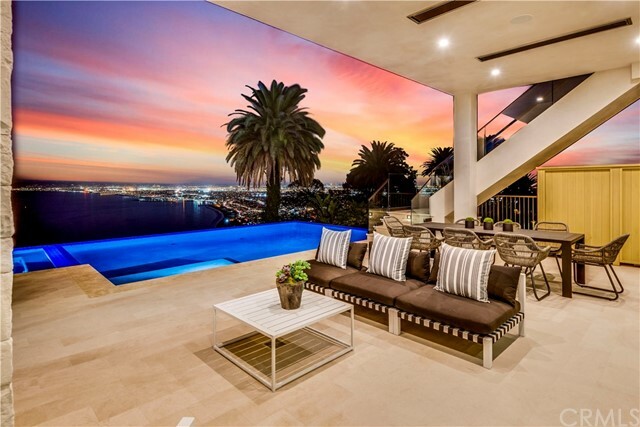 The document established set back requirements, prohibited billboards and imposed a system of architectural review on builders administered by the Palos Verdes Homes Association and the Palos Verdes Art Jury. Vanderlip's plans were slowed by World War I, but subdivision of the land and construction of the first Spanish style homes in what is today Palos Verdes Estates began in the early 1920's. In 1923, plans began to construct a premier golf club in the city of Palos Verdes Estates. The Olmsted Brothers were selected for the landscape portion of the course while George C. Thomas Jr. and William Bell designed the course. In November of 1924, the Palos Verdes Golf course opened for play. Thomas and Bell went on to collaborate and build many of Southern California’s finest courses including Riviera Country Club, the North Course at Los Angeles Country Club and Bel-Air Country Club. 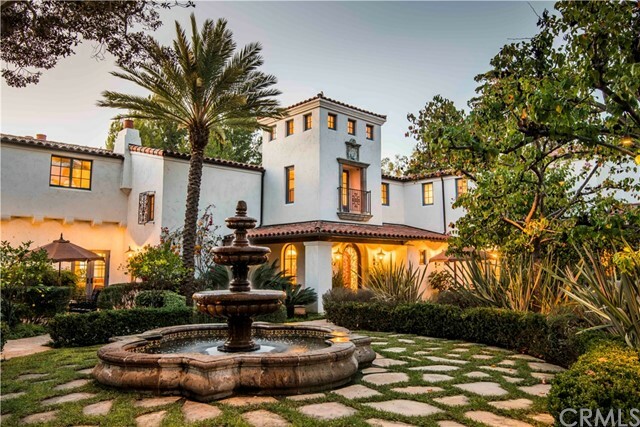 The elegant Spanish style clubouse has been a center for Peninsula social life since the 1920's. A stunning renovation of the storied clubhouse was recently completed and is now considered one of the premium event locations in southern California. The Palos Verdes Golf and Country Club is located at 3301 Via Campesina. The land and facility belongs to the City and the Club is operated under a concession agreement with the City. The clubhouse is open to the public for lunch 11:00 a.m. to 2:30 p.m. Tuesday through Saturday. Thursday night dining and Sunday morning brunch are also open to the public. Call for reservations (375-2533). City residents may apply for either a golf or social membership for a fee. The golf course is open to the public all day Mondays (except holidays) and specified hours throughout the week; call the pro-shop for availability (375-2759). It is open on weekends to guests of members. Located next to the Golf Club, the Tennis Club at 3303 Via Campesina, is also owned by the City and operated under a concession agreement with the City. There are 10 lighted and 2 unlighted courts and a clubhouse. Members have preference, but non-members may play for a fee when courts are available. The Swim Club was completely refurbished in 1992 after the City, in 1988,had seriously considered demolishing the Club, which had fallen into disrepair. A group of citizens proposed selling memberships to raise capital to remodel the Club, and the Club was reopened in 1992 as the Palos Verdes Beach & Athletic Club. City residents may use the club for the payment of a daily fee. 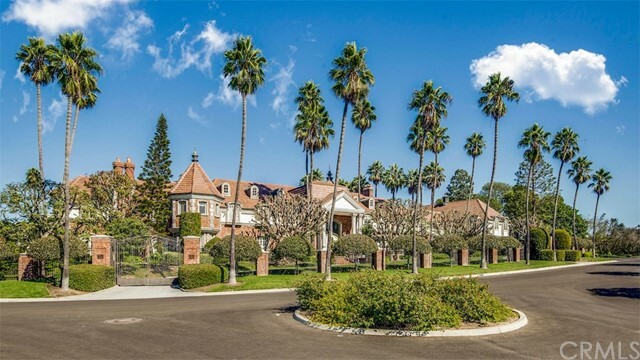 The Palos Verdes Stable, located at 4057 Via Opata, is owned by the City and operated under a concession agreement with the City. Guided rides, lessons, horse rentals, boarding and horse camps are offered. Trail rides are available on weekends in the summer months; summer horse camp for children is held each summer. One of Palos Verdes Estates’ notable landmarks is Neptune Fountain, the City’s logo, in Malaga Cove Plaza. The elaborate two-thirds scale replica of a bronze statue and fountain erected in Bologna, Italy in 1563, was donated to Palos Verdes Estates in 1930 by the Palos Verdes Project. The statue is thought to have been over 100 years old before it was brought to the City and was obtained from a villa courtyard outside Venice. Palos Verdes school students, prior to 1925, attended schools in Redondo Beach, which was then part of the Los Angeles City School District. A separate Palos Verdes school district was created in 1925, however it was only for grades K-8. The first school constructed, in 1926 in Malaga Cove, housed all school grades from elementary school through eighth grade,with high school students continuing to attend schools in Redondo Beach. During the construction of Malaga Cove School, students temporarily attended classes in the Gardiner Building in Malaga Cove Plaza. Palos Verdes High School was originally planned and constructed as a six year school for grades 7 through 12by the Los Angeles School District in 1960, but when the Palos Verdes Unified School District was formed to include high schools as well as grade school students, the partially completed campus of Palos Verdes High was converted to a high school in 1961 as the first high school of the Palos Verdes Unified School District. Rolling Hills High School opened in the fall of 1964 for grades nine through eleven. Seniors stayed at Palos Verdes High School. Miraleste High opened in 1968. In 1991, due to declining high school enrollment, the three high schools were consolidated on the campus of Rolling Hills High School, and renamed Palos Verdes Peninsula High School. Palos Verdes high school was again opened to accommodate increased demand. Today, Palos Verdes schools are continually ranked among the nations best. Pre-Agenda and Closed Session (if necessary): 6:30 p.m.
Planning Commission:3rd Tuesday of the month: 6:30 p.m.
Traffic & Safety Committee:2nd Wednesday of the month: 4:00 p.m.
As a “general law city” Palos Verdes Estates provides services to the public mandated by the California State Code. The City’s authorized legislative body is the City Council which consists of five residents elected at large on a non-partisan ballot for four year overlapping terms. Each year one member of the Council is selected by the Council to serve as Mayor and one as Mayor Pro Tempore. Regular City Council meetings are held on the second and fourth Tuesdays of each month in City Council Chambers at City Hall. The Council meets at 6:30 p.m. for a pre-agenda study session and closed session (as necessary). The regular agenda begins at 7:30 p.m. Members of the public may address Council by either notifying the City Clerk to place an item on the agenda 10 days in advance of the meeting date or speak under the “Communications from the Public” agenda item. State law requires all action items to be placed on an agenda and posted 72 hours in advance of decision-making. The City’s general elections are held on the first Tuesday in March of odd numbered years. Vacancies and unexpired terms may be filled by appointment or special election. Council members serve without pay. Council makes policy decisions which are implemented by the City Manager and City staff. City committees and commissions study issues and advise Council. Agendas for all regular meetings of the City’s committees, commissions, and the City Council are posted on the Channel 3 reader board; at the front of City Hall, and on the website at www.palosverdes.com/pve. City Council meeting agendas are available at the Malaga Cove Library on the Saturday before each Council meeting. Special and adjourned regular meetings are posted as required by law. The Parklands Committee is an advisory body to the Planning Commission and City Council. Members are appointed by the Mayor and Council to overlapping terms. The Committee has knowledge of local plants and trees, and an appreciation of the City’s Parklands and right-of-way plantings. The Committee advises residents concerning designated street trees, tree management procedures, and right-of-way planting. It reviews and makes recommendations on homeowner proposals for right-of-way and parkland planting, and tree pruning, removals and maintenance. The Traffic and Safety Committee suggests the best means for co-ordinating and administering traffic regulations, assists in the publication of traffic reports, receives complaints having to do with traffic matters, and recommends the best means of improving traffic conditions and the administration and enforcement of traffic regulations. Residents of the Palos Verdes Estates community have a history of active commitment to volunteer service. City Council appoints interested and qualified residents to both standing and ad hoc committees from time to time. Each committee reviews matters in its purview and advises the Council. Interested residents who would like to serve on a committee may submit resumes to the City Clerk. Openings are announced in the City Newsletter. Ad hoc committees are appointed when a need arises. Ad hoc committees in past years have been the Financial Advisory, Cable, Insurance, PVE 60th Celebration, and Roessler Pool Restoration (culminating in the Palos Verdes Beach and Athletic Club). 1.Prepare your materials in advance. The City Council can make more informed decisions when they have complete and detailed information before them. Such background materials with photographs, if necessary and relevant, must be submitted to staff two weeks in advance of an appearance so that they may be reviewed by staff and forwarded to the Council in an advance packet. 2. To prepare to comment on your concern before City Council, organize and prioritize your remarks. Be prepared to answer questions from members of the Council. 3. After your comments, Council will deliberate and discuss the issue. A decision may be made or the matter may be rescheduled for a future agenda if additional information is needed. egular City elections are to be held the first Tuesday in March after the first Monday in odd numbered years. Special elections may be held at other times. As a Los Angeles County resident, you may register to vote if you are a citizen of the United States and will be at least 18 years of age at the time of the next election. Your registration must take place at least 14-15 days before an election for you to be qualified to vote in that election. There is no separate registration for city elections. You may register to vote by picking up a mail-in application at City Hall or call City Hall to have one mailed to you. 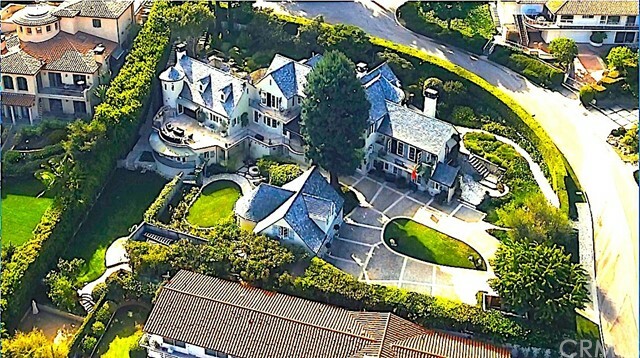 Palos Verdes Estates receives 11¢ of each dollar of the 1% general levy property tax. The remainder goes to Los Angeles County, local schools, ERAF — state diversion of local property tax for the state’s school funding obligations, and special districts (library, community college, sanitation, flood control). The City Manager prepares an annual budget which is submitted to the City Council for approval. Regular audits of all City financial records are performed annually by a private, independent auditor. Palos Verdes Estates is primarily a residential community, with minimal commercial tax base. From its incorporation until 1978, a significant portion of City revenues came from the property tax. Due to legislation and a change in the formula by the State Legislature in the late l970’s, only 11% of your County property tax dollar is returned to the City today. In June of 1980, the City voters passed two parcel taxes to restore revenues and lost services. The Police, Fire/Paramedic parcel tax assessed each parcel annually to provide funds for Police, Fire/Paramedic services. The Streets and Parklands parcel tax assessed each parcel annually for street and parkland maintenance. These parcel taxes were submitted to city voters every four years for renewal until the Fire Suppression Benefit Assessment District was approved in 1991 and subsequently renewed in 1996. The City Council abolished both parcel taxes in 1991. In 2001, City voters approved a fire and paramedic special tax which replaced the Assessment District. These proceeds pay for the Los Angeles County Fire and Paramedic Services contract. The City also has a utility tax which funds the City’s capital improvement program. This program includes major street repair and storm drain improvements. The City Clerk’s office maintains all official City records such as ordinances, resolutions, contracts, minutes, deeds and agreements. The Clerk prepares City Council agendas and back-up materials, maintains the Municipal Code and City Seal, administers City elections and the Fair Political Practices Act. The City Treasurer, an elected official, is responsible for keeping accurate accounting records and reporting cash balances monthly to the City Council. The Treasurer is in charge of the City’s investments, maintaining an investment portfolio to ensure liquidity, preserve principal and achieve maximum interest, while at the same time accomplishing the day to day cash flow needs of the City. The Finance Department, supervised by the Assistant City Manager, operates and maintains the City’s accounting and internal auditing systems and collects and disburses all City funds. The Department also administers the City’s payroll and license collection. In preparation of the annual budget, the Assistant City Manager acts as an advisor to the City Manager and also serves as the City’s Risk Manager. The City Attorney is retained by the City on a part-time basis to advise the City Council, City Manager, staff, committees and commissions on matters of law as they relate to City activities. The City Attorney represents the City in litigation and drafts ordinances, resolutions, contracts, agreements, and other legal documents. Engineering, planning, streets and parks are functions of the City's Public Works department. A consulting firm manages the department under contract to the City. The Department plans and supervises all capital improvement projects related to streets, storm drains and other City property. Also under its supervision are parklands and plaza maintenance, street sweeping, tree trimming, street resurfacing, storm drain maintenance, and processing of conditional use permits, variance applications, grading permits and neighborhood compatibility applications for construction projects. The planning section oversees land use and development policies of the City including all elements of the City's General Plan. Palos Verdes Estates is the only City on the Palos Verdes Peninsula with its own Police Department. The Department enforces all local, state and federal laws, including criminal and traffic.Police Department offices are located on the first floor of City Hall, 340 Palos Verdes Drive West, and are open 24 hours a day. There are three divisions in the department: operations, investigations, and administration. Department facilities include full, state-approved detention facilities with on-duty jailers. Officers are continuously updated in their training in new areas of law enforcement.Using a balanced program of traditional service and thoughtful innovation, the Department strives to increase public safety in our community. A community relations officer develops crime prevention programs and works with Neighborhood Watch and other community groups. Canine officers are used in house and building searches to apprehend fleeing suspects. Residents are urged to register with the Police Department before they leave on vacation so that house security checks may be made. Residents may request public information programs and canine demonstrations for community groups. The City is proud of its independent police department and rapid response to resident emergencies. Law enforcement in Palos Verdes Estates receives support from a very active Neighborhood Watch organization. The basis of Neighborhood Watch is simply neighbors cooperating to keep an eye on each others’ homes and to report any suspicious circumstances to the Police. Groups have been organized throughout the City. Meetings are held for neighbors to meet each other and hear speakers on crime prevention. Contact Palos Verdes Estates Neighborhood Watch, Inc. Palos Verdes Estates, CA 90274. Operation Identification helps reduce burglary by encouraging the engraving of your valuables. You may borrow the engraving tool from the Police Department. The Police Department recommends that you keep an inventory with photographs or videos of those items not suitable for engraving. The Consolidated Fire Protection District of Los Angeles County provides fire protection and paramedic services to the City of Palos Verdes Estates by contract. In addition to its firefighting, rescue, and first aid duties, the County Fire Department makes fire prevention inspections; they also conduct fire safety programs in the schools. The Palos Verdes Homes Association, founded in 1923, is a separate body from the City government. Prior to the founding of the City, the Homes Association provided many of the services of a city government. 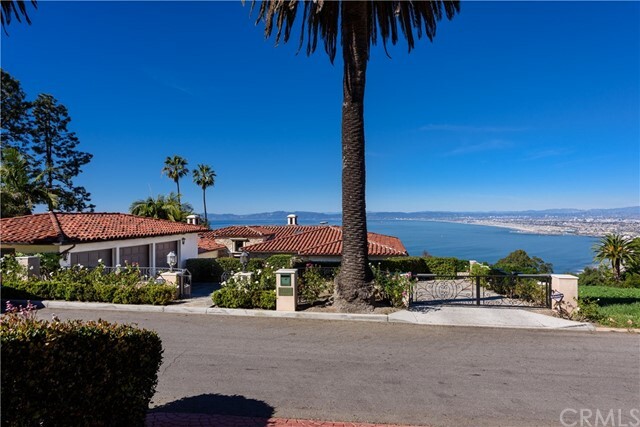 Since 1939 when the City was incorporated, the Homes Association has continued to enforce the deed restrictions on homes in Palos Verdes Estates. The Homes Association is located on the second floor of the annex to City Hall at 320 Palos Verdes Drive West. Questions regarding restrictions on a particular piece of property should be directed to them. Plans for building sites must be filed with the Homes Association for review by the Art Jury which is an architectural and site review panel under the supervision of the Homes Association Board of Directors. 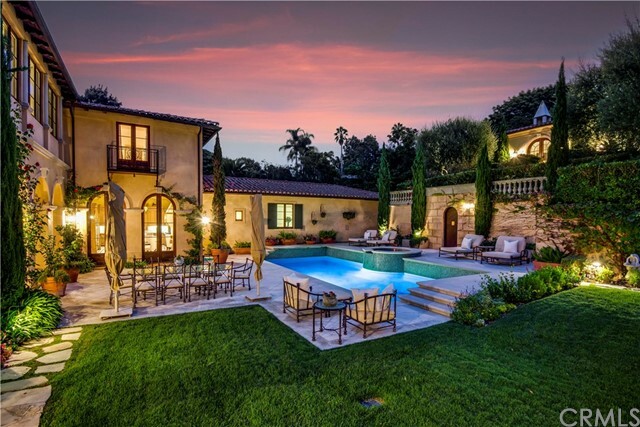 Palos Verdes Estates has always enjoyed a reputation for well kept properties in a beautiful community. Various City ordinances and regulations help to maintain this environment. Several of these are included in this booklet to provide you with basic information about topics which affect you and your community. City staff are always happy to answer any further questions you may have regarding these matters or any related concerns. Neighborhood Compatibility and Maximum Allowable Floor Area residential zoning codes. In 1988, City Council adopted two ordinances revising the single-family residential zoning code. The ordinances set policy for the issues of maximum allowable floor area and neighborhood compatibility for new construction and for remodel projects. The purpose of both ordinances is to maintain the character of the City as defined in the community objectives set out in the Land Use Element of the General Plan. 1. Natural Amenities -"Improvements to residential property shall respect and preserve to the greatest extent practicable, the natural features of the land, including the existing topography and landscaping." 2. Neighborhood Character - "Proposals shall be reasonably compatible with the existing neighborhood character in terms of scale of development of surrounding residences, particularly those within three hundred (300’) feet of the proposed development parcel boundaries." 3. Privacy - “Design proposals shall respect the existing privacy of adjacent properties by maintaining an adequate amount of separation between the proposed structure and adjacent properties, and the design of balconies, decks and windows should respect the existing privacy of adjacent properties." 4. Views - "Neighbors’ existing views should be taken into consideration as much as practicable." 1. If the exterior of the structure is to be changed or affected by the proposed construction, submit the plans to the Art Jury of the Palos Verdes Homes Association for review and approval. 2. After Homes Association approval, submit the plans to the Building Department for plan check. 3. After the plan check is completed and corrections are made, a building permit may be obtained. Building permit fees are required to pay for the City’s cost of providing this service. The Palos Verdes Homes Association and the City have published an informational brochure: “Guidelines for Building or Remodeling a House in Palos Verdes Estates” which is available at the City Hall or the PV Homes Association. City Hall: 340 Palos Verdes Drive West? Police and Fire Departments: 340 Palos Verdes Drive West? Palos Verdes Homes Association: 320 Palos Verdes Drive West? Palos Verdes Golf Club: 3301 Via Campesina? Palos Verdes Tennis Club: 3303 Via Campesina? Palos Verdes Beach and Athletic Club: 389 Paseo del Mar? Palos Verdes Stable: 4057 Via Opata? La Venta Inn: 796 Via del Monte? Malaga Cove Library: 2400 Via Campesina? Lunada Bay Elementary School: 520 Paseo Lunado? Malaga Cove School Site: 300 Paseo del Mar? Montemalaga Elementary School: 1121 Via Nogales? Palos Verdes Intermediate School: 2161 Via Olivera? Palos Verdes High School: 600 Cloyden Road? Palos Verdes Peninsula Unified School District Administrative Offices: 3801 Via la Selva? Fire Resistive roofing (Class A) is required by the City on all new buildings and remodeled buildings where new roofing is applied over more than one quarter of the structure. All projects proposing new roofing materials must submit an installation plan for approval to the Homes Association. The Codes, Covenants and Restrictions dictate approved roofing materials in Palos Verdes Estates. Building permits are also required from the city for all re-roofs. In order to maintain high aesthetic standards in the City and also to expedite construction, the City has a construction site maintenance law. Under this law, all building permits, if not completed through final inspection, will expire 18 months after the date of issuance, at which time a new permit and fees will be required. If circumstances beyond the control of the permit holder have prevented the project from being completed after 18 months, the permit holder may apply to the City Council for a six month extension, but no more than one extension may be granted. At the time of receiving a building permit, the property owner will be required to sign a Construction Site Maintenance Agreement which specifies the regulations by which the site must be kept. These regulate such things as dumpsters, building debris and equipment and materials. 1. Maintenance of any structure in a state of substantial deterioration, which is viewable from a public right-of-way or viewable from the sites of neighboring properties, where such condition would depreciate the aesthetic and property values of surrounding property. 2. Windows which normally contain glass and which are without any glass or which contain broken glass for more than thirty (30) days in occupied buildings or in the case of abandoned buildings for more than five (5) days. 3. Land, the topography, geology or configuration of which, whether in natural state or as a result of grading operations, excavation or fill, could cause potential erosion, subsidence or surface water drainage problems of such magnitude as to be injurious or potentially injurious to the public health, safety and welfare or to the adjacent properties. 4. Storing inoperable vehicles, equipment or discarded furniture in front and side yards, including trailers, camper shells, boats, inoperable vehicles and other equipment kept or stored for unreasonable periods, but not less than 72 hours, in yard areas where the equipment is not screened so that it cannot be viewed from off-site. 5. Maintaining property with overgrown or dead vegetation, including lawns, weeds, plants, shrubs, hedges and trees and including any such vegetation within that portion of the unimproved street right-of-way adjacent to the property. There shall be a conclusive presumption that vegetation is overgrown if the vegetation has not been properly cut and trimmed within thirty (30) days after notification that said vegetation is overgrown. 6. Any uncompleted building or work for which a permit is issued pursuant to Chapter 8,12, and 15 of the Municipal Code, and the said permit has expired and has not been renewed, provided that at least one hundred eighty (180) days has passed since such permit expired. 7. Any uncompleted building or work which is found to adversely impact the neighborhood. Call the Code Enforcement Officer at City Hall to request an inspection of any properties which may be in violation of the above. The City, through a strong code enforcement program seeks to maintain the high aesthetic standards historically adhered to in Palos Verdes Estates. With the adoption of a new ordinance in 1991, the Code Enforcement Officer may cite offenders for non-compliance of property maintenance standards (above) on the basis of Municipal Code 8.48 relating to nuisance abatement. Palos Verdes Estates also enforces an anti-graffiti ordinance. Upon notification of the existence of graffiti, the City shall give notice to any property owner whose property displays graffiti. If the graffiti is not removed in 24 hours, the City shall have the right, at no expense to the property owner, to enter onto the property and remove the graffiti. If you are aware of any graffiti, call the Code Enforcement Officer. The City’s Tree Management Policy recognizes that both the abun- dance of mature trees and beautiful views contribute to the City’s special character. It defines an orderly procedure for resident requests to trim trees on Parkland or within public right-of-way. The guidelines in the Tree Management Policy apply only to publicly owned land. Any resident or group wishing to beautify an area of public land is encouraged to submit plans to the City for approval. The group must underwrite the initial costs. Residents may donate the needed funds for the project to Palos Verdes Beautiful, a non-profit corporation, who will then finance the beautification. Call City Hall for more information. Street right-of-way includes islands, dividers, and strips of land between the curb or edge of pavement and the beginning of private property. It varies in depth depending on the individual street. Trees planted in this area are to be designated street trees. Call the Planning Department for more information. Residents are not permitted to encroach onto public property, including street right-of-way and City parkland, with any structures without a permit. Permits are granted only under limited circumstances. An encroachment permit or a public works permit is required for any work performed in the street right-of-way or on public property. Check with the Planning Department for the width of the street right-of-way in front of your home. The City has standards for masonry mailboxes which are available from the Public Works Department. An encroachment application is required for standard masonry mailboxes; no fee is applied. Planning Commission review and City Council approval is required only for non-standard masonry mailboxes. The City Council has enacted ordinances to regulate the installation of satellite dish antennae. Installation of such structures is subject to the building permit procedure. For further information contact the Building Department. lease remember that a permit is required to place construction materials, dumpsters, et cetera, on City streets. Call the Public Works Department for further information. •	Vehicles must be completely screened from three sides and substantially screened from the remaining surface. •	If not garaged, the vehicle must be parked on a City- approved surface. •	No portion of the unit may be within 20 feet of any curb. An important responsibility of homeowners is to regularly clean debris, leaves and so on from drainage swales and private yard drains located on the property. Swales and drains which are not kept free of debris prevent the storm drainage system from operating effectively and might cause yard and slope slippage. Swimming pool owners please note: pool water may not be drained into the City’s storm drain system which drains into Santa Monica Bay due to the harmful chemicals in pool waste water. Pool water should be backwashed into the sewer system. Call the building department for more information. is prohibited unless a permit has been granted by the City Council. The City has an emergency procedure plan which was adopted in August 2000. It maintains emergency equipment and supplies. However, residents should be prepared to help themselves in the event of an area wide earthquake. The City recommends that a basic plan of action as well as a seven day emergency supply of food, water, first aid, and a portable radio and extra batteries be on hand for every homeowner. City-issued permits and photo ID cards are now required of all solicitors. Residents should ask to see both pieces of identification before responding to any solicitation. A city issued permit is not an endorsement; it is simply proof of a registration. Residents not wanting to be disturbed may post a sign stating “No Solicitation”, “Do Not Disturb” or “No Trespassing”. The Police Department can enforce property rights if a sign is clearly posted. Signs must be placed on private property, preferably at the entry way, and comply with the City’s sign ordinance. Home Occupations: The City has a rigorous home occupation ordinance and requires all residents operating a business out of their home to obtain a permit. It is the intent of the City to preserve residential zones in the City for residential purposes and not to encourage or approve of the operation of commercial businesses in any residential zone. Please check with the Finance Department about City requirements for home occupations. 1. Containers used for the storage and collection of refuse, green waste, and/or recyclables may be metal, hard rubber, or plastic. Plastic bags may be used for refuse only if properly tied and secured. Green waste may be tied securely in bundles by means of heavy twine or rope, if limited to (48) inches in length and sixty (60) pounds in weight. 2. Recyclables are picked up every other week. Acceptable materials include glass, plastics, metal, cardboard and paper. Unacceptable materials include window glass, mirrors, plastic toys, lightbulbs and Styrofoam. The refuse hauler provides two blue 32 gallon containers for recyclables. 3. Green waste is picked up every week.. Acceptable materials include grass, leaves, weeds, twigs and small branches. Unacceptable materials include palm fronds, yucca plants, dirt, rocks and sod. The refuse hauler provides two green 32 gallon containers for green waste. 4. Used motor oil may be disposed of at the Lunada Bay Automotive Center, 2133 Palos Verdes Drive West, Tel. 375-8313. 5. Latex paint may be disposed of at Lunada Bay Hardware, 2216 Via Anacapa, Tel. 377-3588. 6. Oil-based paint and other hazardous wastes may be disposed of at announced county-wide hazardous waste pick-up events. Call 1-800-CLEANLA for more information. Once a year, in the spring, the City’s refuse hauler provides an annual bulky trash pick-up day each spring where bulky items may be placed out at curbside by 7:00 a.m. for disposal. This day is publicized in the City Newsletter and announced in your refuse bill. Large items such as washers, dryers, water heaters, sofas and mattresses are collected at no additional charge by the City’s refuse hauler. Construction waste, green waste, hazardous waste items, including refrigerators with the compressors still in are not included. Transportation for Senior Citizens and the handicapped is available through the Peninsula Dial-A-Ride program. Dial-a-Ride runs 24 hours a day, 7 days a week. This service transports users to medical facilities (within a designated area) off the Peninsula in addition to destinations on the Peninsula. Access Services Inc., a transit service for Dial-a-Ride registrants who cannot access regular bus service because of a disability, also offers an extended transit option to destinations throughout Los Angeles County. You must register to use Dial-A-Ride and may do so by mail at Peninsula Transit Authority, 38 Crest Road, Rolling Hills Estates, CA 90274. Call 544-7108 for the most up-to-date fare information. Animal control services are now handled by the City’s Police Department. Call the Police Department for information and assistance. Tel. 378-4211. The City contracts with Los Angeles County Animal Control. All requests to pick up biting dogs, sick, injured or stray animals in distress, or animals causing a hazardous situation should go through the Police Department. The City issues dog licenses which are required for all dogs four months old and over. A rabies clinic is held at City Hall once a year in the summer and is announced in the City Newsletter.